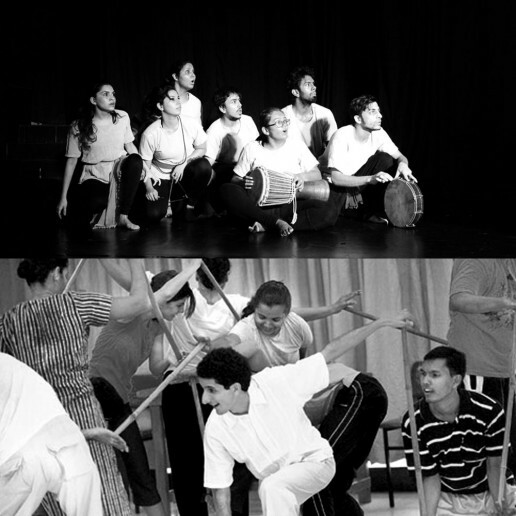 Drama School Mumbai was founded in 2013 to forge a new generation of theatre-makers; actor-creator-entrepreneurs professionally trained to perform and create work to a higher global standard of storytelling. Our alumni are all highly active – founding theatre groups, acting in award-winning plays, ​working in films as well as applying their craft in education and corporate-training. We work with a faculty comprising of the best theatre practitioners – actors, playwrights, directors, theatre designers and producers. Armed with fundamental skills in performance, direction and producing, our graduates embark on making their own livings and careers in the theatrical arts, contributing to a gradual development of the sector with work that aims to be of a higher standard for all audiences. 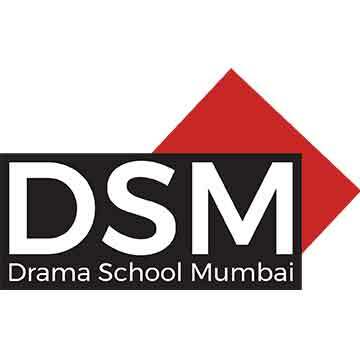 Drama School Mumbai also works to promote the awareness of theatre and its processes to a wider audience interested in exploring and understanding the medium for themselves through shorter workshops, lectures, and regular presentations of work created by the students and faculty. Shirin Bharucha Managing Trustee & Executive Committee Member Shirin Bharucha is a lawyer who worked with the Tata Group for several years. She is involved with a number of trusts that work for the city’s urban renewal, and was part of the team that restored the Oval Maidan, the Horniman Circle Garden and the Kala Ghoda Art District (www.kalaghodassociation.org). She is also a very senior lawyer and has worked in the legal department for the Tata Group for many years. She is also involved with a number of trusts, including Sir Ratan Tata Trust, one of the main trusts run by the Tata Group. Bharucha is also involved with many organisations which worked for Mumbai’s urban renewal.She was part of the team that restored the Oval Maidan, the Horniman Circle Garden and the Kala Ghoda Art District. She is managing trustee at the Urban Design Research Institute (UDRI), which supports interaction among architects, urban designers and professionals in fields such as urban economics, sociology, planning, conservation and history. Bharucha has also worked as a scrutiniser of postal ballots in companies such as ACC. Aum Yash Kendra's Director and Founding Member, Mini Bhatia started Speech and Drama Classes under the able guidance of Hima Devi. Mini started the class with her two sons, saw the amazing advantages of this life skill and decided to continue the journey with Aum Yash Kendra. Mini along with Tasneem Fatehi worked tirelessly for the last 15 years to establish Aum Yash Kendra as a premiere institute for Speech and Drama with all rounded development with Phonetics and other movement activities. Partner in Nanubhai & Co., Mumbai since August 1990. Has worked for Chelcliff Limited, U.K. from September 1985 till July 1990.Specialised in providing Accounting and Financial Services, he has also worked for Master Systems (Data Products) Limited, U.K. as a Financial Controller. Did BSc.Eco from London School of Economics and Political Science. Jeroo Mulla was the Head of the Sophia Institute of Social Communications Media, Mumbai from 2012 -2013 and the Head of the Social Communications Media Department, Sophia Polytechnic, Mumbai from 1986 – 2012. She has been teaching film appreciation, photography and the Fundamental Concepts of Communications, and supervising student documentaries at the Sophia Polytechnic for over thirty years since 1979. Currently she continues to teach film and photography as a visiting faculty at Sophia Polytechnic and at various other media institutes such as Xavier’s Institute of Communications and Symbiosis Institute of Mass Communications and at St Xavier’s College. She is also a media consultant, and on the advisory boards of the Xavier’s BMM course and the Haridev University of Communications in Jaipur. In 2010 she served as a Jury member for the National Film Awards. She was also on the Selection Committee for the International Children’s Film Festival Hyderabad 2011 and 2013. In 2003 she served on the Advisory Panel of the Xavier Institute of Communications, Mumbai. She was appointed to the Film Censor Board as an Advisory Panel member in 1987 where she served for three years. She is currently on the advisory board of WIFT (Women in Film and Television) and on the advisory board of the Asia Society for their New Voices Fellowship for Screenwriters. Jeroo Mulla is also an accomplished Bharatnatyam exponent who has trained under the renowned guru Acharya Parvatikumar. Theatre person and actor Shernaz Patel is undoubtedly one of the most popular faces of the Indian English theatre scene in the country. She developed a natural inclination for the theatre owing to her parents’ influence. Her parents, Ruby and Burjor Patel are veteran theatre people who were very active on the Gujarati and the English stage. As a student of the Fort Covent school she participated in many plays under the direction of Pearl Padamsee. She graduated from the Elphinstone College which in her time had a very vibrant literature department It was in the early eighties that she first cut her teeth on the professional stage with THE DIARY OF ANNE FRANK, directed by Janak Toprani. Shernaz says that she has been lucky to have worked with some of the best known directors like Nasseruddin Shah, Vijaya Mehta, Toni Patel, Lillete Dubey and Rahul Da Cunha. Some of her well-known productions include plays like ARMS AND THE MAN, LETTERS TO MY DAUGHTER, LOVE LETTERS and THE CLASS OF 84’. Forever keen to experiment and explore the various aspects of the theatre, she has also worked with a young experimental director like Rehaan Engineer. She acted in his production of MOLLY SWEENEY in 2005. Shernaz a great deal of exposure to international theatre. While honing her acting skills she was able to work with a company called The Vanishing Point and did a play called THE SIGHTLESS with them. Besides being a talented and a competent actor Shernaz is a keen supporter of the cause of theatre. In 1993 she along with Rahul Da Cunha and Rajit Kapoor formed the theatre company, Rage. The company has not only produced some famous productions like I AM NOT BAJIRAO but is also now involved in the pursuit of encouraging original plays in Indian English. The company’s ‘Writer’s Bloc’ festival is now an annual event which takes place in collaboration with the British Council. Select writers go through a residential workshop and their plays are finally taken on by various directors to be actually performed. Shernaz is also enthusiastic about the innovative work that is being done by Marathi theatre people like Chetan Datar. Most recently: Shernaz was head of acting at Whistling Woods International School. Bhavna Thakur has had a 16 year career in corporate finance, starting off as an M&A and capital markets lawyer at Davis Polk and Wardwell and Paul Weiss, respectively, in New York and London, followed by stints as an investment banker with Morgan Stanley in Hong Kong and India and more recently with Citi in India as the Head of Equity Capital Markets Origination. Some companies that she has taken public, along with her team include Just Dial (local search, a $167M IPO), Coal India ($3B IPO), LT Finance ($285M) and SKS Microfinance ($350m IPO). At Citi India, her team generated shareholder value in excess of a $2B+ and is the top ranking underwriter for all IPOs and secondary financing in India raising over $60Bn of equity financing for issues since 2005. She has deep experience working with senior management teams, PE & VC groups & Government institutions. At Citi India, she has led several public market exits. Notable among them- disposal of Citigroup's stake in HDFC Limited, Carlyle’s exit from HDFC Bank, sale of Cairn Plc's stake in Cairn India, sale of Apax's Partners stake in Apollo Hospitals and most recently the Government of India's stake in Axis Bank. Her core experience and ongoing interests lie in emerging markets, technology, finance and seeding women high growth entrepreneurs. She has also been an angel investor with Indian Angel Network, Mumbai have some pretty exciting companies in my personal portfolio. Bhavna is a theatre enthusiast and used to run a non-profit theatre company called Alter Ego in New York that staged shows Off-Off Broadway during 2002-2007. Sanjoy K. Roy is the Managing Director of Teamwork Arts, which produces over 25 highly acclaimed performing arts, visual arts and literary festivals across 40 cities in countries such as Australia, Canada, Egypt, France, Germany, Hong Kong, Italy, Israel, Korea, Singapore, South Africa, Spain, UK and USA, and includes the world’s largest literary gathering — the annual ZEE Jaipur Literature Festival. He is a founder trustee of Salaam Baalak Trust working to provide support services for street and working children in the inner city of Delhi where over 55,000 children have benefited from education, training and residential services over the past years. The White House recently presented him the US President’s Committee of Arts and Humanities Award for an International Organisation. He is an advisor for the arts and diversity for numerous government and non-governmental organisations across the world. Jehan has taught as guest faculty at Ninasam Theatre Institute, Karnataka, Attakkalari Centre for Movement Arts, St. Xavier's College, Mumbai, Shinshu University, Japan, and the National School of Drama’s T.I.E division in Agartala. He also has directed numerous plays in different languages in India, the US, UK, and Japan. Jehan founded Theatre Professionals in 2008 and The Drama School Mumbai in 2013. Jehan has most recently received the Sangeet Natak Akademi Ustad Bismillah Khan Yuva Puraskar for his organisation’s work in the advancement of the practice of Theatre. Niloufer Sagar has over two decades of experience working in arts management both in India and abroad. Her specializations are theatre productions, festival management and site-responsive work. She currently works with artists including Terence Lewis and his dance company and theatre maker Yuki Ellias. She has also been associated with the British Council, the National Centre for the Performing Arts, the Jindal Arts Centre, and theatre companies Masque and Rage. Tushar is an India based Actor , Director and a Teacher. He is an Inlaks Shivdasani International Scholar, specialisation on Lecoq's pedagogy from the London International School of Performing Arts (LISPA) and a graduate of the National School of Drama (NSD), India, Tushar has been practising performance since 2003. During the last seven years, he has been associated with various projects in India and the UK, performing, conducting workshops, creating works from classical styles to site-specific contemporary, acrobatic and mask-based works. Apart from collaborating with Lyrebird Theatre, London with whom he devised, produced and performed ‘SHIPS OF SAND’; that premiered at the EDINBURGH FRINGE FESTIVAL 2011, Tushar has presented his work in England, Scotland, Greece, Dubai, China, and India. Tushar has also acted in few films, which includes a critically acclaimed ‘PINK’, in which he plays a pivotal character, and ‘Beyond Blue’ which premiered at Marche du (Cannes Film Festival 2015) and he received a special mention Best Actor at a festival in Rome; December 2015. Tushar's work concerns highly visual movement-and-text based combinations of fiction and non-fiction sources and is presently devising works to develop performance language and create new expressions that go beyond existing performance boundaries. Tushar is also a guest faculty at National school of Drama, Delhi. Ragini is an arts manager and a performance maker with a background in Indian classical dance for close to 15 years. Currently she heads the Drama School Mumbai (a training institute school in India for those seeking a career in the theatrical arts) in an executive capacity. She has also been an international fellow with ARThink South Asia’s Fellowship for Potential Leaders in Art and Culture. As a performer, she has collaborated with various artists on national and international projects. Her last interdisciplinary performance piece titled 'Don't f*** with my Unicorn' was performed in London and was selected as a shortlist finalist for the Annual Rich Mix festival. Through her work in education, she has developed and designed programmes for schools and corporate learning using methodologies based in the performing arts. Prachi is a Bachelor in Commerce from Walia College of Arts and Commerce, Mumbai. She has worked in placement and operations departments for companies like Wipro Infotech, Onicra and Scrabble Entertainment. Ltd.
She has been a part of the Theatre Professionals family since 2016. © Drama Schools Mumbai Foundation. All rights reserved. Website by Barking Dog Studio.